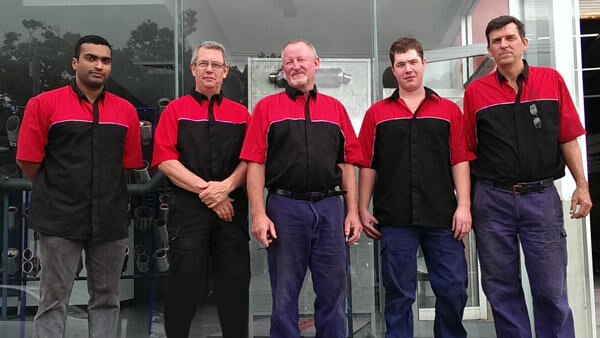 Bowen Hills Exhaust & Car Care is a family-owned business that began in 1978. We’re still owned and operated by the same family. Over our years of trading we have seen many milestones and changes to cars, and have focused on giving priority to current techniques and modern motoring. We commenced with only family members working in the workshop and rapidly grew to employ over 30 mechanics at one time, and have now downsized to suit market changes and provide our customers with a more personalised service. When we started in 1978, we prided ourselves on specialising in mufflers and exhaust systems only. The motor industry has seen significant changes during that time, especially when cars moved away from leaded to unleaded fuel. We have now expanded to all motor vehicle components; suspension, brakes and car servicing, resulting in complete care of your motoring needs. Also, we can give your car a Roadworthy Inspection and Certificate when needed. We aim to be “a one stop shop” making it easy & convenient for all your car repairs & needs. Our staff have over 50 years of experience in the automotive industry and always keep up with the latest in their field. We are proud to have 2 qualified mechanics who have been employed with us for over 30 years. This is a great testament to our business and dedication to staff, resulting in very satisfied customers. We pride ourselves in having repeat customers and we attribute this to our great staff who have stayed with us for the long-term. Their experience and highest-quality workmanship take care of your car, and are the reason our customers keep coming back. Located in Bowen Hills, near the Brisbane CBD, you’ll find us on Abbotsford Road, a main road leading in and out of the city, giving access to both northern and southern suburbs. We are located near the Inner City Bypass for your convenience. Bowen Hills Rail station is nearby, and also a bus stop within walking distance for you to drop off and pick up your car. If you decide to wait while your car repairs are carried out, there is a waiting room available for your comfort as well as a play corner for your children to play. View location on map. We give 12 month warranty on all parts and labour. This means you can have peace of mind even after you paid and picked up your vehicle. Knowing exactly what you will be paying for your car to be serviced upfront, gives you peace of mind and means no nasty surprises. Packaged car servicing means you can choose the level of service based on your particular need, whether it be that you don’t want to adhere to your car manufacturer’s servicing schedule, or perhaps your car is older.